Today we release an amazingly fun set that everyone will love and use a LOT. 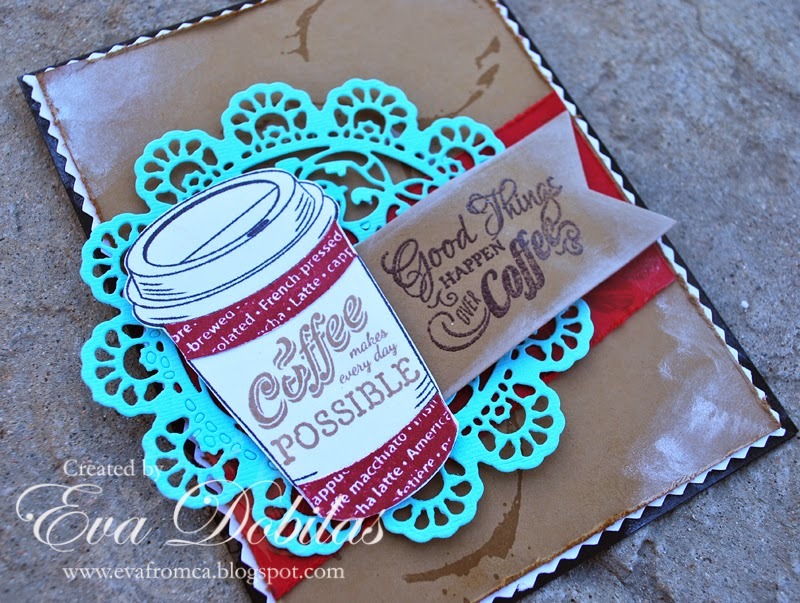 It's called Coffee House Clear stamp set! Here is what I made with it. I used a kraft color card stock and stamped the coffee rings on it. 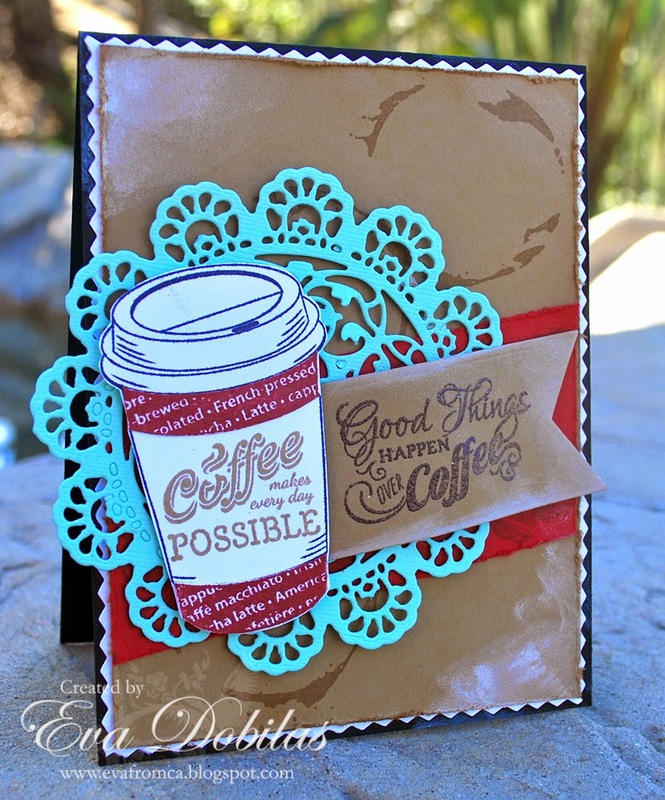 Than die cut a pretty doily using Prima doily die out of a turquoise color card stock. I stamped my coffee cup onto white card stock and cut it out. I stamped it one more time using red ink and cut out part of it and I stamped the sentiment on it and paper pieced it onto the cup. Finally I die cut a banner using a My Favorite Things Die-namics and embossed the sentiment onto it using brown embossing powder. Here is what the Coffee House Clear Stamp set looks like. And now it's time for you to check out what my fellow design team mates have created with this fun set.